Chatanooga, Tenn. - Barge Design Solutions’ relationship with the after-school organization ACE (Architecture, Construction, and Engineering) Mentor Program means an investment in tomorrow’s future. 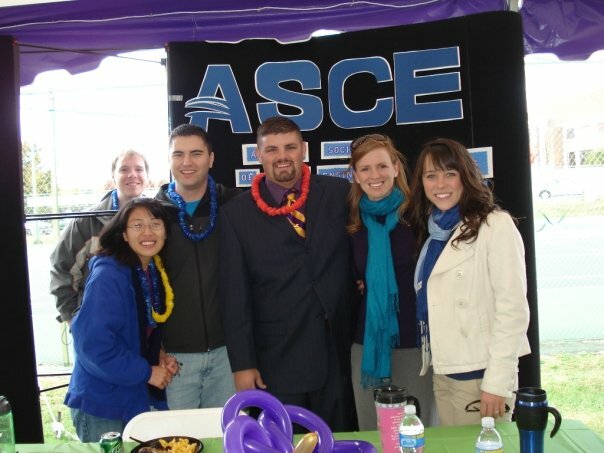 In 2004, high school junior Caitlin Moffitt joined ACE Mentor Program, influenced by her father’s job as an engineer. Caitlin wasn’t sure if an engineering career was in her future, but this was her opportunity to learn more alongside a variety of local professionals. She would even get to work through a real-world project. The ACE Mentor Program brought civil engineering alive for Caitlin as she learned about the several facets of the field—land development, structures, transportation, and water and sewer. Caitlin was hooked. She went on to pursue a degree in civil engineering at Tennessee Tech University and a career in civil engineering and engineering education. She continues to be involved in the ACE Mentor Program today to pay it forward to the next generation of designers and builders. Research says that nearly two-thirds of students who complete the ACE program enroll in an ACE program of study in college. ACE students pursuing architecture and engineering have higher retention rates in their majors than non-ACE students. ACE students surveyed also indicated that the program prepared them well for college and improved their chances of success. Today, Caitlin is an Engineer Intern in the firm’s Chattanooga office and volunteers regularly with other staff members at ACE Mentor Program of Southeast Tennessee and North Georgia. Caitlin also serves on the Chapter’s Board of Directors as Past President. Barge Design Solutions has also provided financial support for ACE through its Community Fund. The firm’s recent contribution helps ACE gift students with scholarships to further pursue careers in the built environment. This long-term investment is full circle. These students fill the pipeline in which Barge Design Solutions recruits talent, like Caitlin, and strengthens its communities.